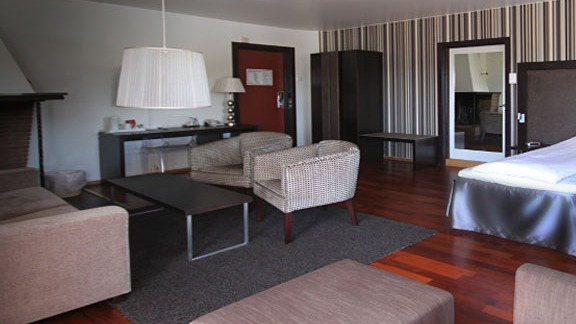 We have 63 comfortable rooms. All rooms are well-equipped with "32" Flatscreen TV, a small fridge, telephone, coffee-maker, safe ,WiFi, and wired internet access, black-out curtains, and of course private bathrooms. 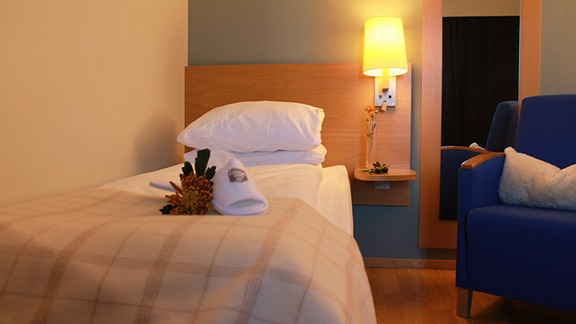 All of our rooms have bright colours, wooden floors, "Scandinavian" design and comfortable beds. 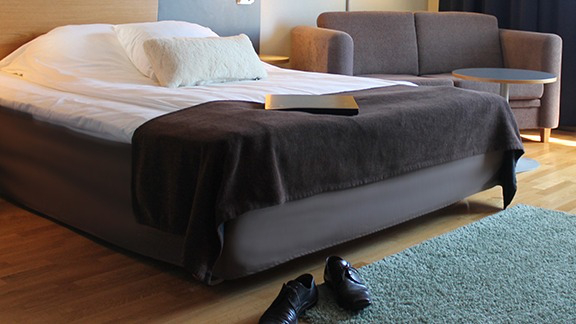 In addition to what you find in our standard rooms, all business rooms have 160 cm beds.You will also find comfortable working space, and a chair or sofa for relaxing. We have one luxurious Jr. Suite at the top floor. Here you will find a fireplace, sofa and two chairs, large chair for relaxing, large bed(210 cm) and a spacious bathroom. The Jr. Suite is often used as a Bridal Suite.